Customize fully for high impact! 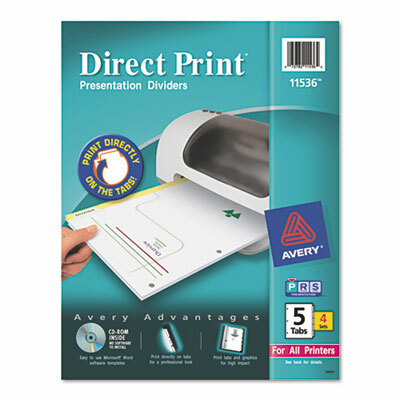 Print professional-looking dividers right from your desktop. Bring small print-shop jobs in houseno need to leave your office! Customize fully for high impact. Print directly on tabs and divider pages to create a professional-looking index quickly and easily. Easy to use with Avery templates and software. See product package for details.